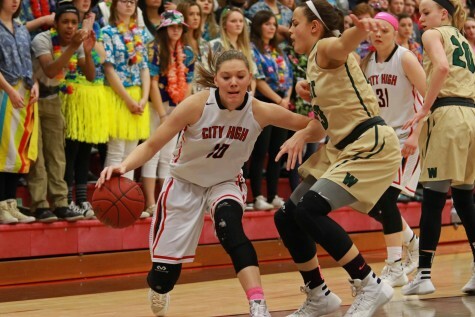 City High will begin its run at a state championship on Wednesday. Here's what you need to know about the game. 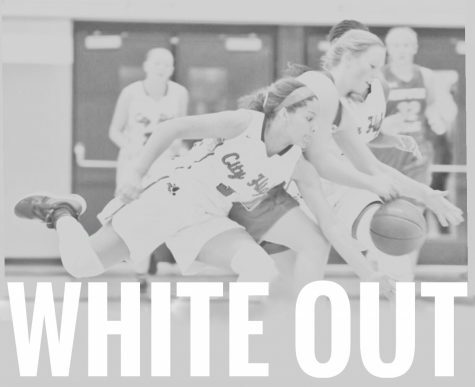 Ashley Joens '18 goes up for a shot while being guarded by Ankeny Centennial's Keanna Williams '18. 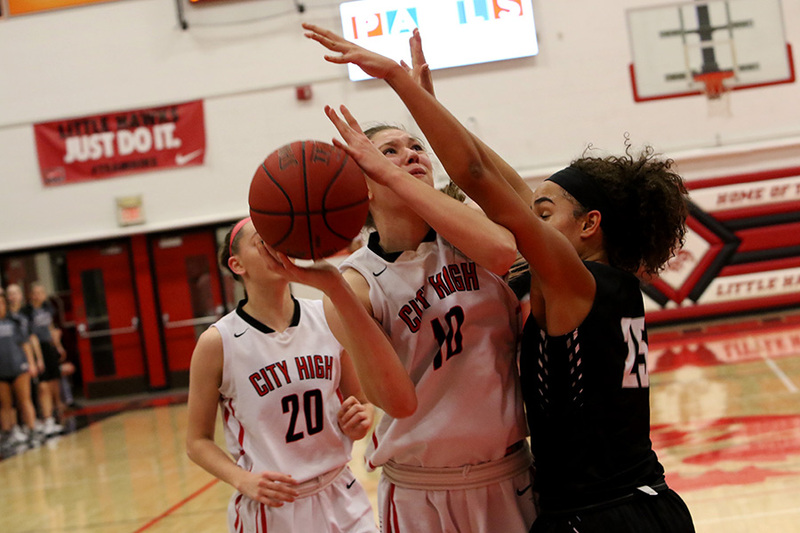 The City High girls basketball team will be starting off its state run against Cedar Falls this Wednesday at 3:15 at the Wells-Fargo Arena in Des Moines. 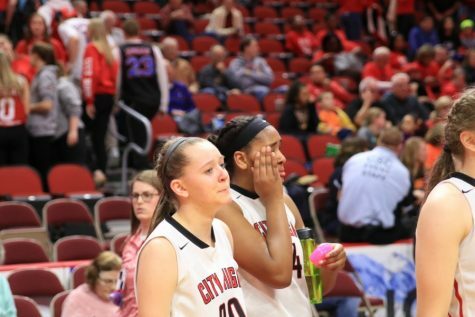 The Tigers, 21-2, have put together an impressive season with wins against Iowa City West High and Linn-Mar. 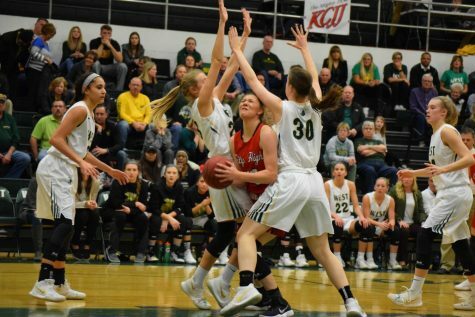 Their leading scorer, Kiana Barney, is averaging 13.1 points per game, and their second leading scorer, Cynthia Wolf, is averaging 11.7 points and 7 rebounds per game. 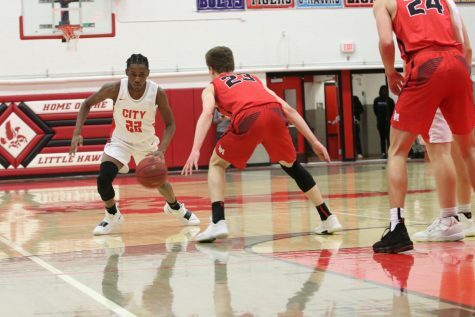 The Little Hawks have already played Cedar Falls once this season, where they had a field day, winning 62-40 at City High back on December 9th. 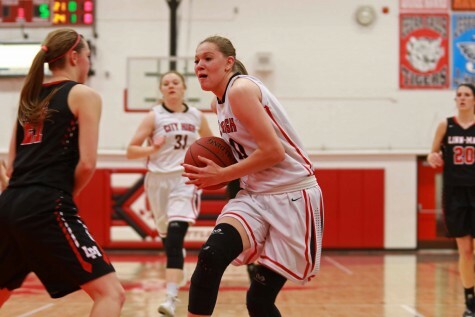 Ashley Joens ‘18, who is City’s leading scorer averaging 21.1 points per game, had one of her best games of the year, scoring 27 points on the Little Hawks’ home floor. 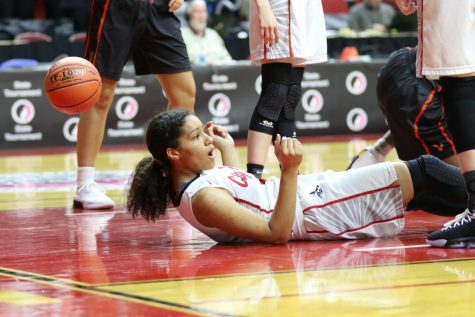 Kenya Earl ’17 added 11 points and four rebounds, and Rose Nkumu ‘20 gave the Little Hawks 10 points as well. 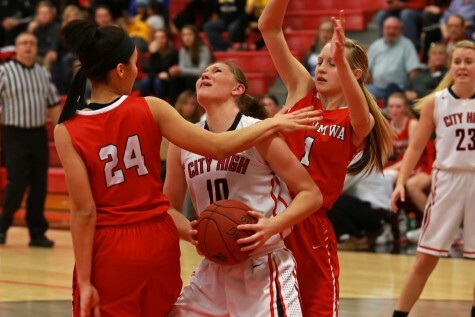 For the Tigers, almost half of their points came from junior Cynthia Wolf, contributing 18 to their losing effort. 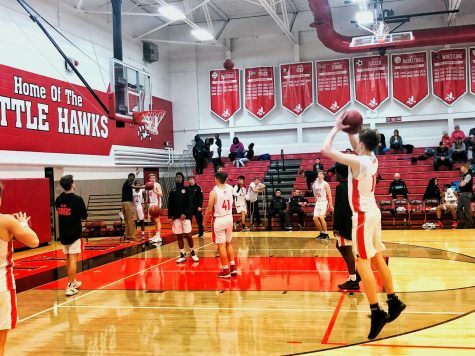 “They’re a lot better than they were back then, so we can’t take them lightly, we had them in foul trouble, so the second time will be more difficult if they’re not in foul trouble,” McTaggart said. 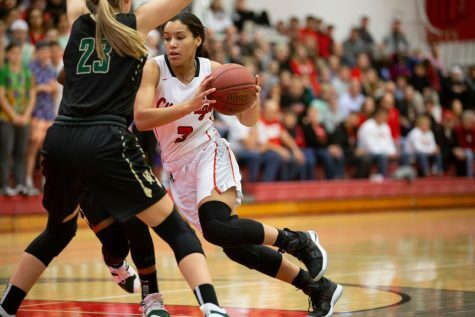 Cedar Falls will look to be led by leading scorer Kiana Barney ‘18 who only had five points before fouling out of the game in December. 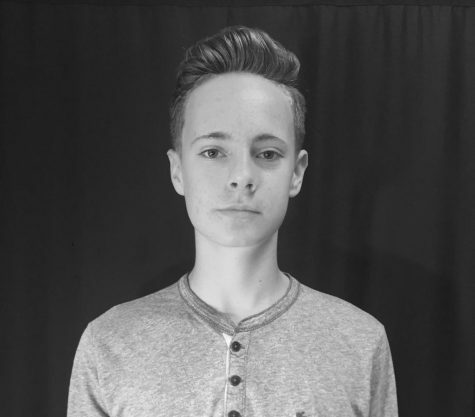 McTaggart says that he believes his team will need to rebound well and to take smart shots in order for it to win. 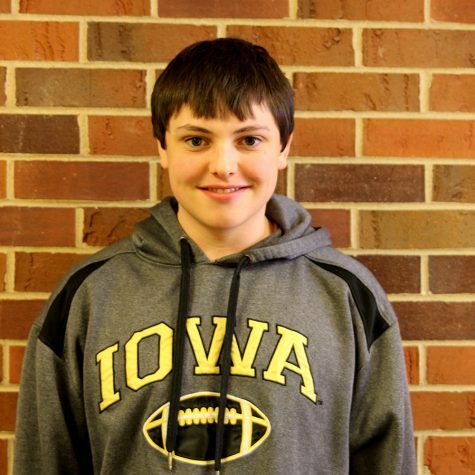 The winner will advance to play the winner of the Indianola-Johnston game at 1:30 P.M. on Friday.